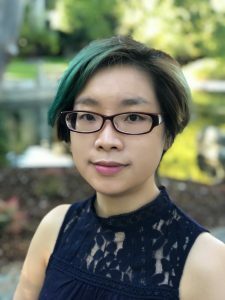 Emily S. Wu is an expert in Daoism and Chinese Folk Religions, particularly infood, healing, and medical practices in Chinese and other East Asian religious contexts. Her teaching and community work also explore deeply into the diasporic, transnational, and cross-cultural Asian experiences and understandings of health and healing, community-building, and social justice. She serves as steering committee co-chair (2015-2020) of the Religions, Medicines, and Healingunit of American Academy of Religion. “Eat Less Meat to Save the World: Monk Changlyu’s The Book of Diagnosis and Natural Foods.” Buddhism and Medicine: An Anthology of Modern and Contemporary Sources. Ed. C. Pierce Salguero. New York: Columbia University Press, 2019. Interreligous Pedagogy: Boundary-Crossing Engagements and Interdisciplinary Approaches. Ed. Emily S. Wu and Jung Eun Sophia Park, SNJM. New York: Palgrave Pivot, 2018. “Chinese Ancestral Worship: Food to Sustain, Transform, and Heal the Dead and the Living.” Dying to Eat: Cross-Cultural Perspectives on the Role of Food in Dying, Death, and Afterlives. Ed. Candi K. Cann. Lexington, KY: University of Kentucky Press, 2017. “Teaching aboutQi: Knowledge Transmission among Chinese Ethnic Practitioners of Traditional Chinese Medicine in the United States.” Chinese Overseas: Religions, Identity and Transnational Networks. Ed. Tan Chee-Beng. Singapore; Hackensack, NJ: World Scientific Publishing, 2014. Traditional Chinese Medicine in the United States: Searching for Spiritual Meaning and Ultimate Health. Lanham, MD: Lexington Books, 2013.